My alarm went off at 5 this morning and I was in my car by 5:30. The whole routine proved it’s possible to exercise before work, but I do think, as much as I sometimes dread going in the evenings, that I enjoy it more when I’m not crunched for time. And I certainly enjoy mornings more when I can roll out of bed and enjoy a slow-cooked pot of oats! Whilst at the gym I did 26 minutes of ellipticalling (wanted to stair climb but the machines were all taken) but I did get in 10 minutes of stairs at the end. Then a busted out 12 + 10 + 6 assisted pull-ups and 12 + 10 + 6 dips. And a set of lunges. On my way home I realized the road I take is CLOSED for the Wachovia Championship! (It happens just a few blocks from my house!!) and had to take the loooooooong way home. I got a tour of South Charlotte! Not good on a day I was rushed either. I made up for it with a speedy 2 minute shower and 10 minute beauty routine. Today I enjoyed a no-cook, no-clean overnight oats mix! Speaking of Naturally Nutty, I hear most of them are back in stock at OpenSky! I believe we’re still waiting on the CVSB, but the rest are back in. Gypsy Coconut Chai tea! One of my favorites (and in my shop if you can’t find it near you). 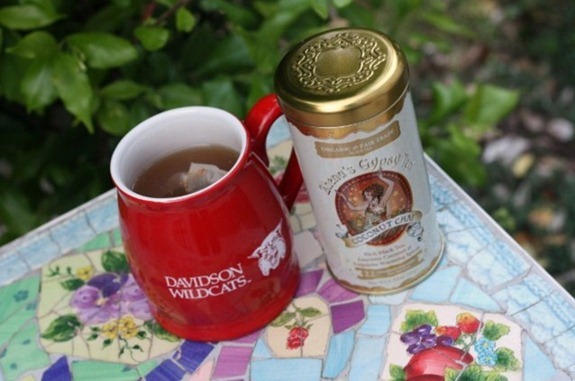 I used my Davidson mug since we’re headed to an event tonight! 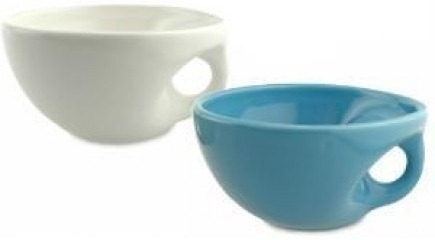 They come in a two-bowl set – in KERF teal and white. They are hand-made to order, so they’ll take about a week to make, bake and ship from scratch. $42 for both bowls. Those overnight oats look deliciously refreshing! Love cantaloupe. Gonna try and grab myself some Buddha Bowls right now. Love them! LOVE that square bowl!! I have a square one at home, but it is just plain old white…I love the pattern 🙂 You have so many amazing dishes…do you just get them from little thrift shops and just randomly , or do you have sets of everything? I fixed overnight oats last night, too! I love how much faster they make my mornings – all I need to do is top them and eat. I prefer getting my workouts done in the morning – it’s so peaceful outside and at the gym! I am a morning work out kinda gal. It just starts my day off with a bang! I love cantaloupe! I would say that is a perfect addition to overnight oats! YUM! I read your post last night and did not weigh in on the subject until I thought about it. I find it very interesting how things are evolving for our generation. The fact that you kept your name is completely acceptable and since you and Matt agree on it made it that much better. I find that our generation is changing a lot in the way they think about many things. Shared finances, religion, names…it is very interesting to see all of this. I did take my husbands name. I was 20 when I got married and it was kind of a difficult time for me and my family (we have gotten past that now). I felt like my husband and I were starting our own family and that is why I took his name. I did not want to lose my last name all together, so it is now my middle name. Anyway, that was very thought provoking and I appreciate you sharing that little bit. I find our generation very interesting in it new ways! Have a great day Kath. Ohhhhh I haven’t had cantaloupe in so long and now I’m craving some! Nice bowl of oats Kath…must do this overnight thing real soon! 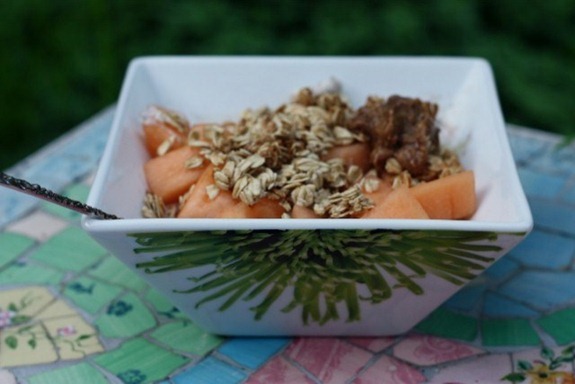 I love cantaloupe and I love oats…but for some reason, that combination freaks me out!! Nothing worse than feeling rushed in the morning– hope you have a great day! Have a good day Kath! Those bowls are gorgeous–love the colors, too. Glad you survived “Matt” time…I just posted on missing getting up at 4:30 a.m. this morning because there are no gym classes at my place Tuesday mornings 🙁 Guess our bodies tell us very different things! Question about overnight oats…I followed the recipe in your “recipe” section and it calls for equal parts oats, milk, and yogurt. And I made them for the FIRST time last night following that recipe. But, this morning (and probably other days) I see you only used half the amount of oats. Should I follow that instead? My oats are “cooked” but the serving is quite big. Thoughts?! Use whatever portion you like! I used less oats today because I knew I wanted to add granola on top and lots of fruit. But without granola I’d use 1/3 or 1/2 a cup of oats in the base. i don’t know if i could be more jealous that the championship is SOCLOSE to your house! i would stop my week to go watch that 🙂 glad you were able to get in a quick shower and everything…running late is no fun! 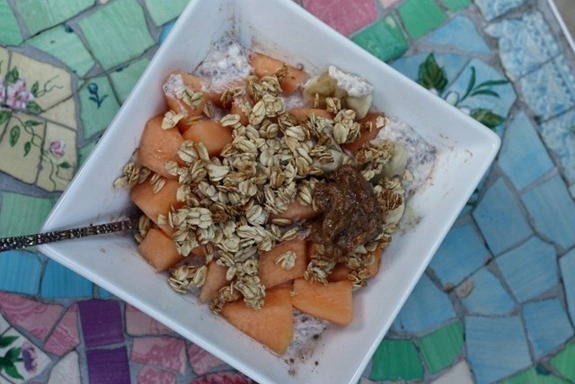 I love the additions to your overnight oats! I always just put almond and banana in mind. I also love the Wildcats mug! I live right by Davidson; it’s such a beautiful campus. I never would have thought to add canteloupe but that sounds delicious!!! Great job getting to the gym this morning! I do SO much better sticking to a workout routine if I just get it done early in the a.m.- but getting into that routine is hard. Those bowls are too cute. Love the colors. Good on you for doing the morning workout. Five a.m. is earrrrrrrly! I’ve been wanting to try that Coconut Chai Tea! Good for you for getting up early! I am NOT a morning person so I have pretty much given up on getting up early in the morning. I really need to change that since when summer hits I need to run in the mornings. gah! that gypsy tea is THE BEST! have you tried any other their other yummy flavors? I doubt there will be any bowls left by the time I get home from work and can order them, but I dare to hope! adorable mug bowls! 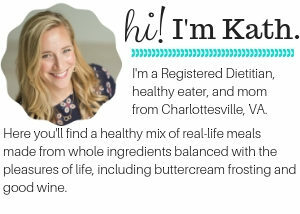 it’s been a while since i’ve stopped in to kath eats, but i wanted to look again at your wedding photos. remembered them being wonderful and thought i might get some ideas for the wedding i’m planning for Autumn next year — mine!! woo! anywho, did you get married in a park? have the reception outside?? just curious. We got married in a church, but our reception was at Duke Gardens in Durham, NC on the Duke Campus. I love the addition of cantelope. I can’t wait for all the summer fruits and berries, and all the food options that brings. I love the bowls! That’s awesome that they’re handmade. I might just have to get some of those bowls…and the tea…ah! But, the overnight oats look delicious, I may just have to make some tonight for tomorrow to be topped with the mango that is almost ready to eat! I only just started working out in the mornings and I agree, being rushed it a bit of a bummer but I do like having my evenings free, especially seeing as I go to school part time and work full time! It gives me the evening to study but also have the time to see my boyfriend, family and friends! Your oats look awesome this morning and I LOVE the bowls!!!!!!! I also found the subject of your last post very interesting and I read each response. I don’t usually read every comment on a blog, but they were all so interesting! 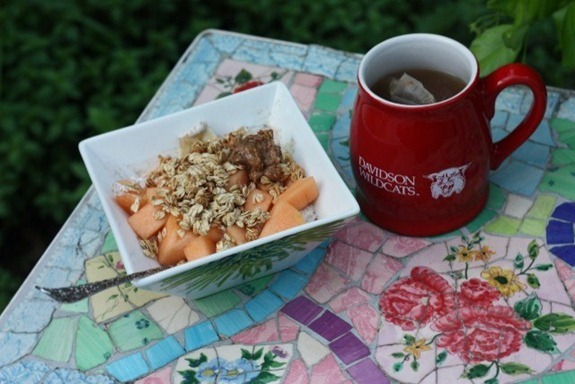 I love cantaloupe, never thought to have it with oatmeal. I just loooove those bowls, too cute!!! You have sooo many cute things in your shop! 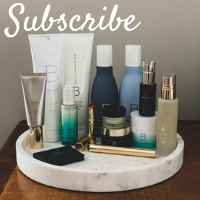 Do you ship to the UK?! Did you blend the spinach in ? I cooked it in once and blended it but didn’t think it was worth the trouble..
Oh so like a green smoothie. Sounds great! the mix of cantaloupe and banana sounds interesting!! Not blow-drying my hair shaved off 3 minutes 🙂 The rest was all just rush, rush and putting on the first outfit I found. Love the bowls so much!! Since I am an artist I appreciate anything handmade sooo much! I swear it really does make my food taste better!!! Hope you and everyone reading has a great day!! oooh cantaloupe! can’t wait to pick up a melon. it sounds good with the overnight oats – i wouldn’t think about adding it to hot oats, but i guess some people have done that?! Those bowls are super cute — I wish I had the budget for that kind of stuff right now! Love ’em. Cool! Those bowls are so neat. Wow. I just read all the comments on your name post and it was so interesting! Blogs are great for creating interesting discussions. I can’t believe I missed commenting on your last name change post. I just changed mine this morning. I was just going to add Jamison onto the end and keep all of my names but when I got there this morning I was told that you are only allotted a certain # of characters in your first, middle and last name fields and since I would have had two names within the middle name field I was over my character limits by two little letters 🙁 I ended up having to drop my maiden name completely and I’m so sad. I def. wanted to take Will’s name but I also wanted to keep my own. Will was very adamant about me having his name. I think it makes him feel like we are more of a family or unit or something. But I totally understand wanting to keep your own name. It’s who you are! I can’t believe they limited your characters!! Those overnight oats look great- I’m excited to try them when the weather gets a little warmer! I’m having a hard time finding the nutritional information on Chia Seeds. Anyone know the stats for 1 tbsp? I believe they are 35 kcal/tbsp.